December 4, 2012 Nefer Khepri, Ph. D.
Housed in a hinged magnetic closure box, Inspirations for Survivors is a set of 44 cards intended for and dedicated to “every person who has struggled, fought, or persevered while striving to live their lives.” So that means this is a deck for everyone because who amongst us hasn’t struggled through difficulties? The author notes that everyone is a survivor. We all face difficult situations and Inspirations for Survivors is an oracle deck whose messages can help us through such difficult times. The guidebook, a card-sized paperback, has 96 pages. The paper is all glossy and all cards are depicted in full color. There are no spreads provided. The author does suggest a single or 3-card draw in a brief one-page section. This deck is ideal for one-card draws. Cards are a bit dark and gothic in appearance. A phrase is printed on each card that sums up that card’s meaning with a more thorough discussion of the card’s interpretation provided within the accompanying guidebook. Inspirations for Survivors works best when asking about a dilemma or serious issue that is troubling you. For my sample reading provided here I focused on my main issue right now, which is my health. I do NOT do health readings because too many people try to use divination as a substitute for consulting a medical professional. I have already been to see my physician – twice in a single week, as a matter of fact. My question is two-fold so I’m drawing two cards. First, why did I get so ill (strep throat immediately followed by a sinus infection leading to an ear infection, reverting back to a sinus infection) and what is the lesson here for me? 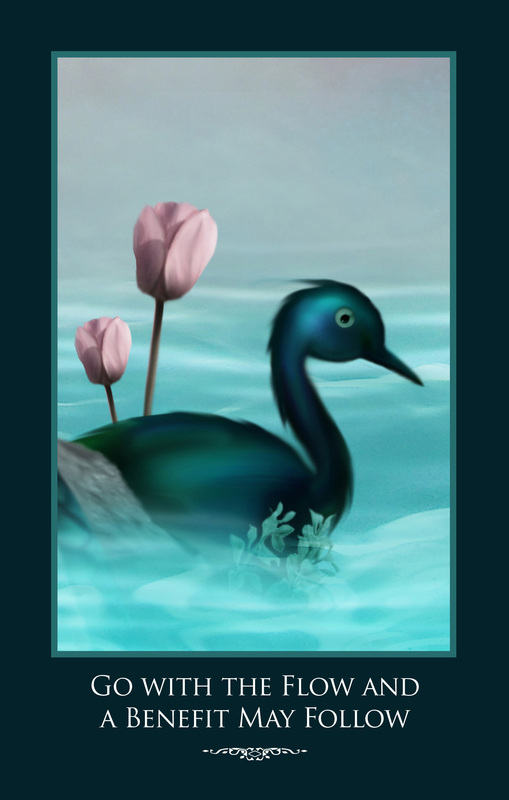 Reason – “Go with the Flow”: this card indicates I need to take it easy and stop fighting against the current. When we pull back and just let things be sometimes the answer presents itself. I have been forced to get a lot of rest. The strep caused a great deal of fatigue so for three days all I could do was lie around. Doing nothing drives me crazy. 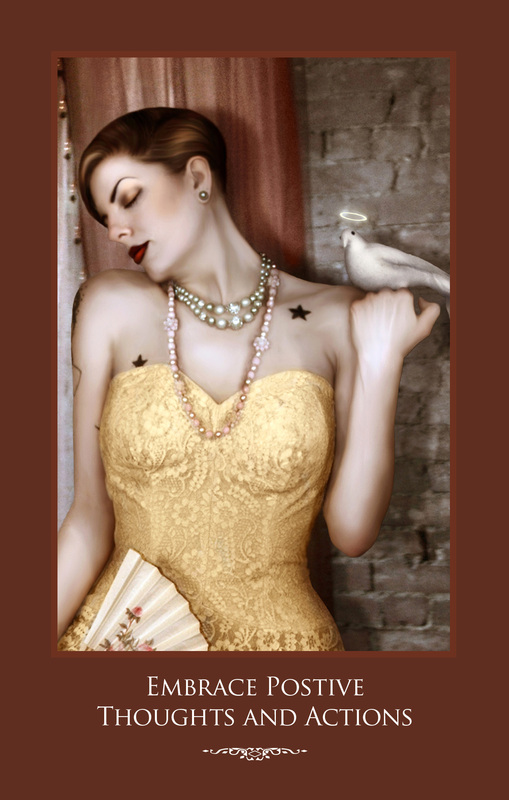 Lesson – “Every Soul Has a Story”: from the guidebook: “… Our history, knowledge, or past experience can enlighten us with life lessons and learned experiences.” I’m asking what the lesson is and the word “lesson” appears in this card’s interpretation. I am impressed. The book goes on to say that a chapter has concluded. This will lead to a new beginning. 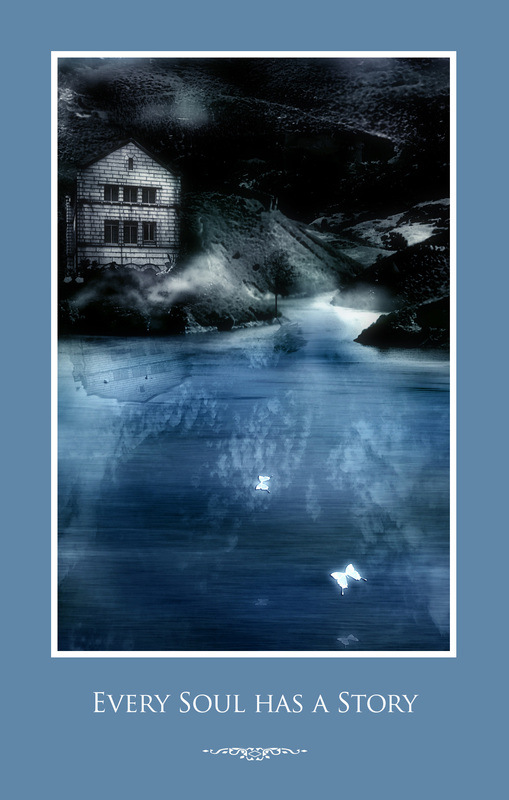 I find it interesting that a house in a murky landsacep is featured on this card. In dreams the house is symbolic of the body and I have been quite physically ill and my body is slowly recuperating. I have also spent 95% of my time in the house over the past month due to illness. There are also two butterflies on this card – symbols of transformation. This tells me that things will get better all around. So for now the lesson is to rest, go with the flow and relax as things will resolve in their own good time. I need to learn that I can’t rush matters or impose my will upon them. That’s a huge lesson for us all, no matter the situation. So I wait for the sinus infection to clear and I know I’ll come out on top. I always do. 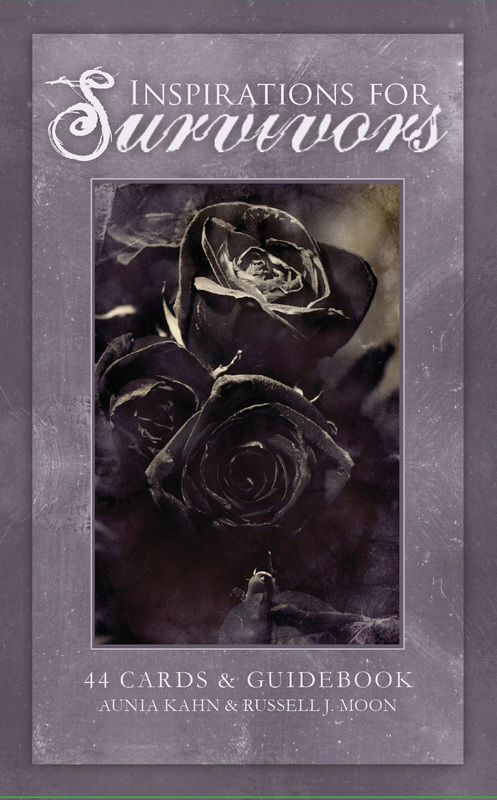 Inspirations for Survivors” is a lovely deck of photographic collage, deep and somewhat moody, but it reflects the mindset of someone who has survived a great deal or is facing a current crisis. Gentle and encouraging guidance is provided in the accompanying guidebook and I feel that many people will find this deck to be useful as it offers solace to all of us who have experienced hard times. Previous 12/21/12: What is Going to Happen? the reason why i like your blo s…is because of the lanuae you use.Nefer…..simple and very honest..easy to read..too! !